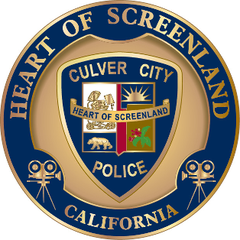 4/05/2018-----Fatal Traffic Collision @ Washington Blvd and Caroline Ave.
On April 5th, at approximately 0430 hours, the Culver City Police Department received a call of a traffic collision with injuries at Washington Blvd. and Caroline Ave.
Officers arrived on scene and discovered that a Honda Civic had struck a tree in the center median and the solo male driver was deceased. During the investigation it was determined that the aforementioned vehicle was involved in a hit and run traffic collision in the 4100 block of Higuera Ave., just prior to the fatal collision. The Culver City Police Department’s Traffic Section is currently investigating the accident. For further questions please, call the Watch Commander’s Office (310) 253-6202 or Lt. Dunlap at (310) 253-6258.